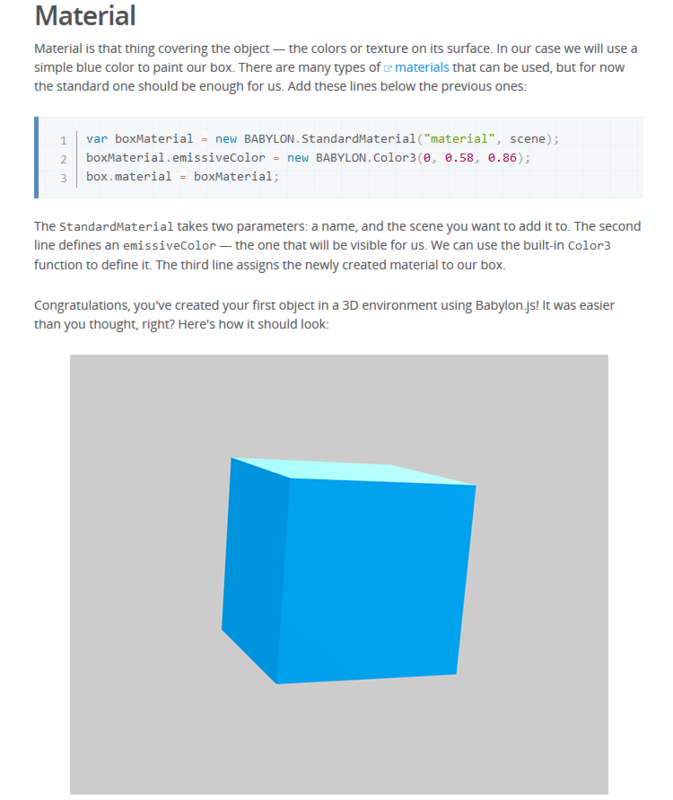 When it comes to in-browser 3D game engines, very few have as much recognition and popularity as does Babylon.js. If you haven’t tried it out yet, here’s a very simple and easy demo for you to try out, curtsy of the nice people from Mozilla Development community. It goes over all the very basic things you need to write your very own first HTML game – setting up the basic HTML structure for the game, initializing the engine, building a game background, setting the camera, lighting, getting some of the basic shapes set up and getting them moving around. If you’re starting from the very beginning, this is where you need to start.